Welcome to 3Eagles Trading Co. Inc. Your source for Native American related products. Serving the Native American gift industry since 1986. 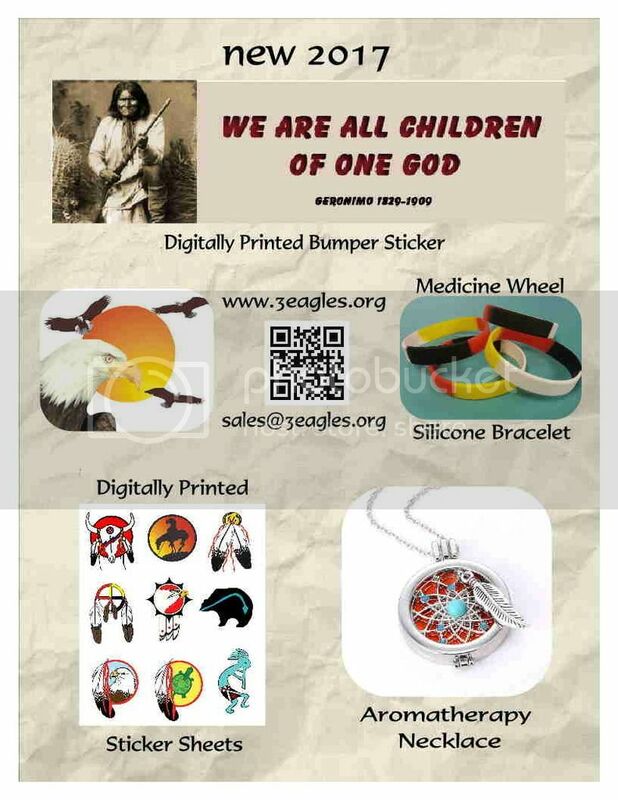 We design and create bumper stickers, decals, key chains, auto tags, cloisonné pins, stained glass, necklaces and other items for the Native American trade and Veterans organizations. We are a family business!